This is the famous Tower. Indulge me on this one – this is not a post to learn about the University. 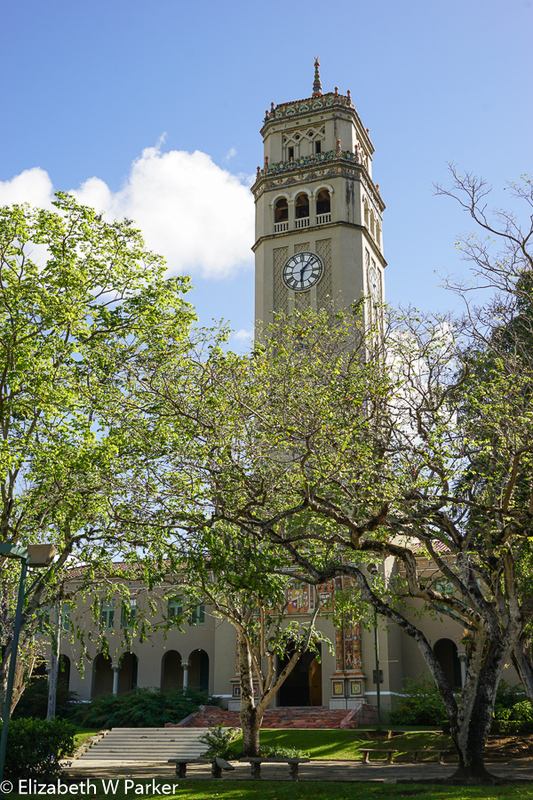 This is a post about the university as a tourist stop! It is not currently, at least to my limited knowledge of touristy things in San Juan, on anyone’s tourist route. But that doesn’t imply that it shouldn’t be. 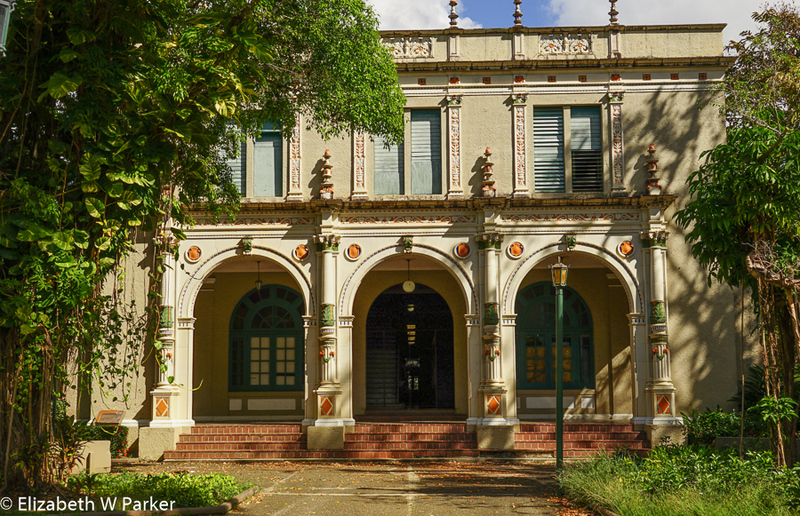 I still remember the first time I saw the UPR campus. I was amazed. I don’t know what I was expecting but it wasn’t a huge green lawn presided over by a majestic tower and buildings decorated with ceramic murals! 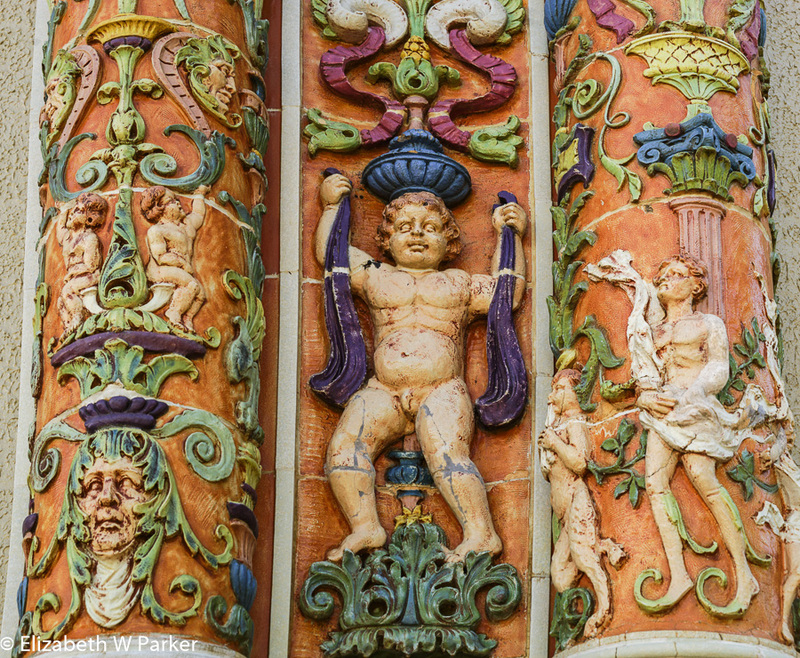 A detail of the ceramic decoration on the tower. This time, Gerry and I went on purpose to take pictures. We picked a beautiful Sunday morning. Though it was a good choice for pictures without people in them, it was a bad choice for pictures with people in them. Once upon a time, I didn’t want people in my pictures, but now I realize that the presence of people, especially students, actually doing student-ly things, lends a lot of color and life to the photos…Next time. Like my surprise on that first visit, I wanted to explore and discover on this visit. I did it with my camera. We stayed pretty much in the famed quadrangle, not the oldest part of the campus, but definitely the most interesting and evocative. You can read about the history of the architecture here . Other parts of the University are well worth future posts – Watch for them! 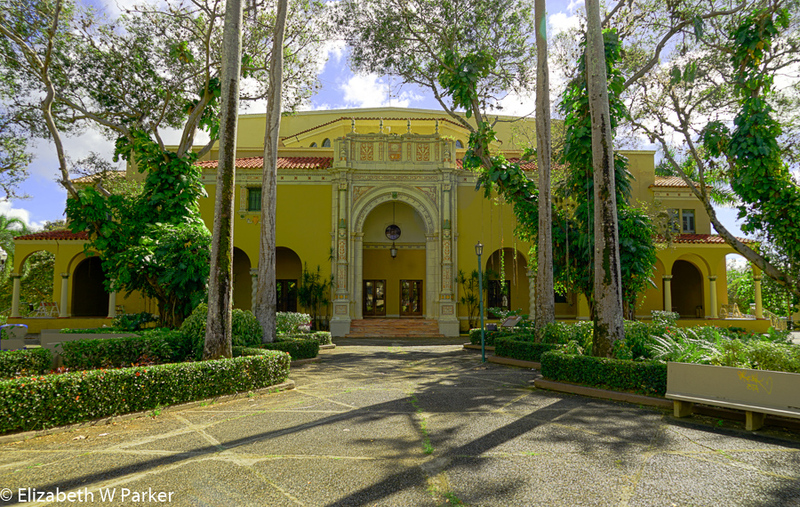 The The Museum of History, Art and Anthropology where the famous original of Oller’s El Velorio (The Wake) is, has a interesting collection of Taino artifacts, too. The Botanical Gardens are part of the University but not on the grounds of the main campus. If you think the main campus looks poorly cared for, just wait until you visit the botanical gardens. It makes you want to get out a rake and work on it yourself! It is however a great place for a walk and there are many opportunities to take pictures of flowers and plants, close-up and personal. This same Sunday morning, we went to the Botanical Gardens and took just such a walk. Here are some pictures.